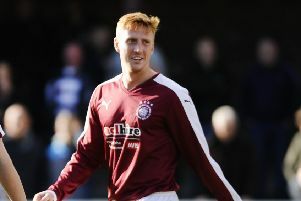 Linlithgow Rose manager Mark Bradley is confident that last Saturday’s heavy 5-1 South of Scotland Challenge Cup defeat at East Stirling won’t affect his side this weekend. Rose, second in East of Scotland Conference C, face a crunch home encounter against league leaders Broxburn – whom they trail by three points – this Saturday. 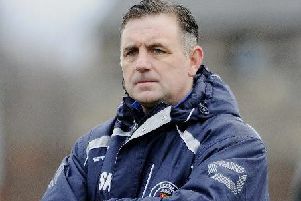 “It is a massive game,” Bradley told the Linlithgow Gazette. “Broxburn are going well. They have not lost a goal and they are scoring goals so it will be a tough game. “I’m glad it is at home. Hopefully we can get back on track and get back on the top of the league. “We will try and put last Saturday behind us and move on. “That is the good thing about football, there is always another game to put things right. In a welcome boost for Rose ahead of the top-of-the-table encounter, Bradley said that he has a fully fit squad to choose from. “Everybody seems to be available,” he added. “All the injuries are clearing up. “I’m confident we will have a full squad to pick from. Bradley is retaining full belief that his side will win the league this season. “We have got to be confident we will win the league this year,” he said. “Getting beaten in the cup doesn’t dent confidence. “The league was always the most important thing. “Winning the league and getting promoted is our main focus and winning on Saturday will put us in a great position. “When you play for Linlithgow being top is the expectation. This Saturday’s game kicks off at 2.30pm at Prestonfield.